Comstor will target its existing partner base as well as resellers already working alongside its sister distributors within the Westcon Group when developing business for Hewlett-Packard's ProCurve brand. 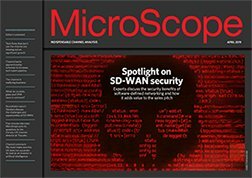 As exclusively revealed by MicroScope last week, the distributor brought to an end its virtual exclusivity on Cisco by signing a distribution contract with HP, which is seen as an up-and-coming force in the network infrastructure market. Comstor vice president and European managing director Jon Pritchard said: "Nine out of ten of them [Westcon partners] don't sell HP, so we're going after the opportunity to bring a new vendor to a fresh set of partners. "Westcon Convergence sells Avaya like it's going out of fashion," he continued, "but they don't sell anything to run voice on, and don't want to sell Cisco because it competes with Avaya on voice." Pritchard explained that for other partners, signing ProCurve was intended to complement the existing Cisco business. "We found more and more as the market softened that where Cisco resellers couldn't sell Cisco, they were asking for alternatives and we didn't have anything to offer them within the Comstor brand," he said. He added that the two lines of business would be kept largely separate, with ProCurve chasing bigger SMBs and enterprises. The distribution deal inked last week will also address end-user concerns over vendor choice, according to Pritchard, who said customers were increasingly hedging their bets over costs in the recession, and asking resellers to quote them on multiple vendors. Pritchard admitted that Cisco had not been 100% delighted with the news, but said there was no expectation of exclusivity from either side. Comstor has also created a front-end sales team for the ProCurve line-up for which it hopes to take on around six new faces in the next couple of months.